Here at Clean Cut Media, we love good art, good design, and awesome display of creativity. We’ve posted great 3D Chalk Art, Photography, Short Films and even good clean Commercials. Apple has always been a leader in design and usability. 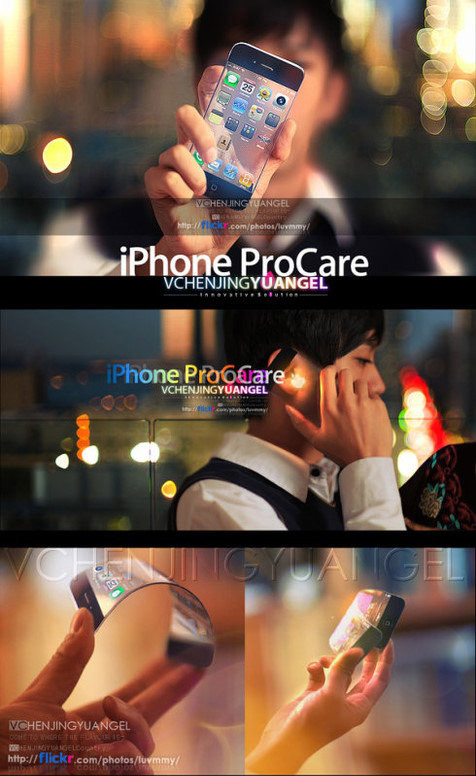 As each new product nears it’s launch period, numerous design mockups and speculations start to appear around the web. 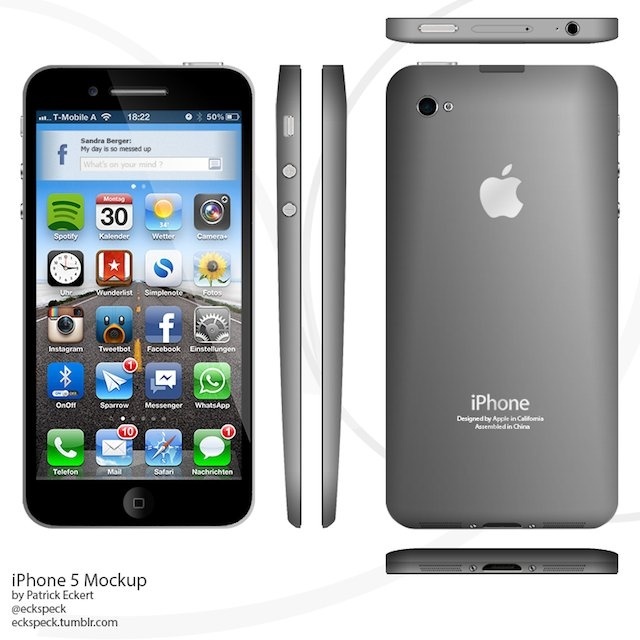 The iPhone 5 is nearing it’s speculated launch date. 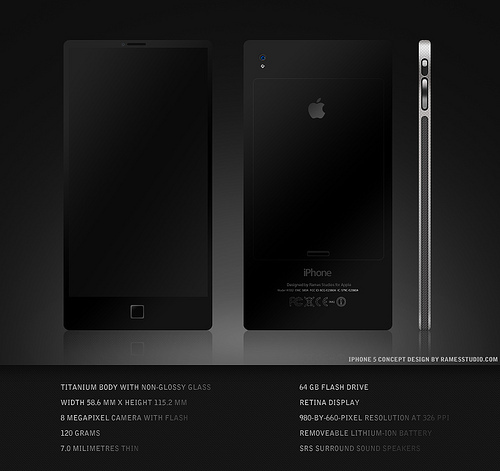 See below some of the excellent mockups “guessing” what Apple might do. I’ve ranked 10 different designs in my own personal top 10 based on 3 factors. My first thought was, wow very creative. It’s kind of, cute. Points for creativity. 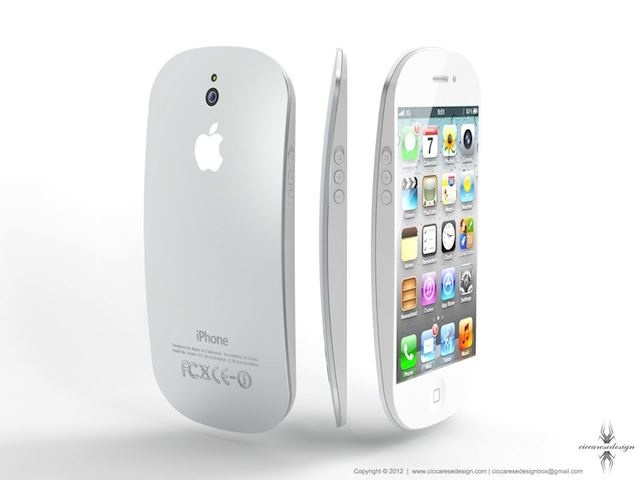 However this doesn’t seem like a next generation phone, rather just a copy of the mighty mouse. 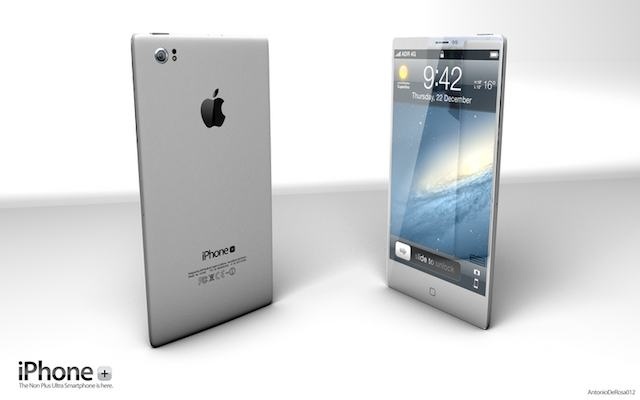 I believe this might have been mocked for a previous iphone release as well – thus the small screen. Clever though! This phone is interesting. Love the huge screen. Give some creative points for the unique back and even having the home screen button being part of the touch interface. However the back is a bit awkward and the phone itself just screams droid.. or android.. as it mimics current designs. The iPhone LM is simple, beautiful and very realistic. 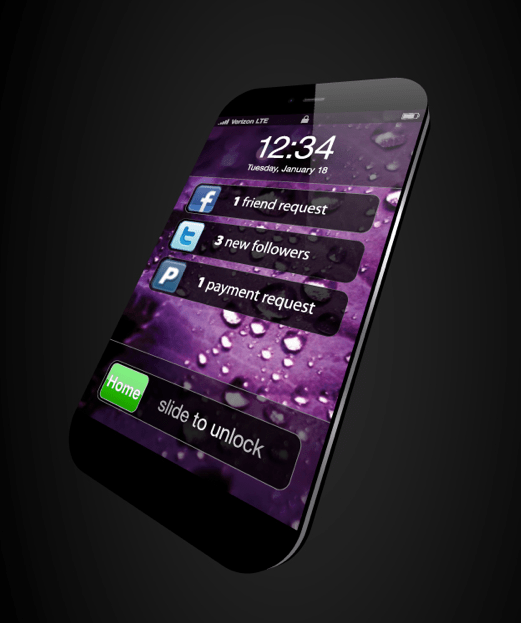 If the next iPhone looked like this – it would seem realistic wouldn’t it? Sleek, more professional, and a wider screen. Apple are masters at making small tweaks that quickly makes older phone seem old and obsolete. Well Done. Realistic Points off the charts. Simple and realistic. Having the screen reach end to end gives it a simple but unique difference from previous generations and helps it stand above the crowd. Also super thin. Nothing fancy here. Same Idea but with tempered edges and no home button. The tempered edges helps distinguish the newer iPhone a little bit more without making huge adjustments. 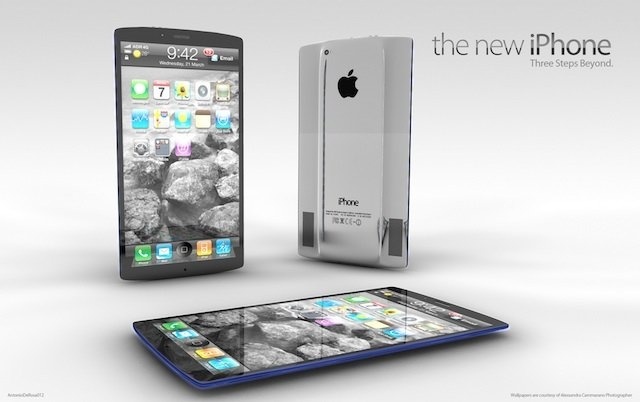 This certainly won’t happen for the iPhone 5. Awesome points yes! Creativity points yes! Realistic points negative! It seems awesome and cool but two problems. First the technology at the right price is just not there to produce something that will match Apple’s desired quality of execution. Secondly, people just aren’t ready for something like this. It’s a bit too novel especially the way it bends and how you would feel holding it in your hands. But very creative indeed. This design is simple. Bigger screen, thinner body, make it look sleek. 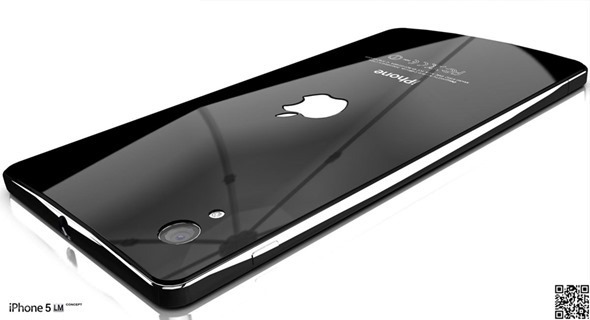 It’s a great design and the thinness looks awesome. The problem? It better be made of the toughest material in the world because I would be afraid to break it in half accidentally. Ah yes. I am a big fan of the dark grey metallic back. It adds a touch that says this is the next generation and helps distinguish itself from past models. Very professional. I believe this mockup is for a phone that is significantly larger though, thus the icons are small, but you get the idea. Bonus creative points because of the unique teardrop shape as well as a stab at a different interface that just works. It looks very professional and simple. It has that “oomph” factor that makes previous iPhone seem obsolete and old. I love the switch to the dark metallic grey. I like that it is still very similar to the old design, but has that updated feel. I also love the idea of using that extra screen space for something other than just another row of apps. I’ll take it! It was a close race between #1 & #2, but more creative bonus points here for a completely new design and thinking through the specs including a 64gig flash drive and removable battery. Those specs alone would cause many to upgrade. The design isn’t revolutionary as the block look is already popular, but it is done in a simple, clean way. Great job! Let us know in comments your thoughts on each of the designs! Like it? Hate it? 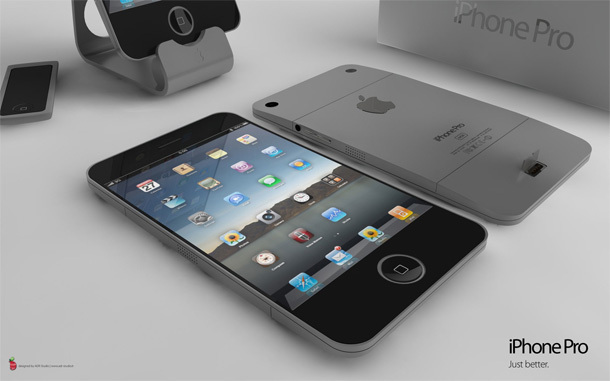 I do hope that they (Apple) keep iPhone 4’s form factor, design and shape intact and use it for the next iPhone as well. 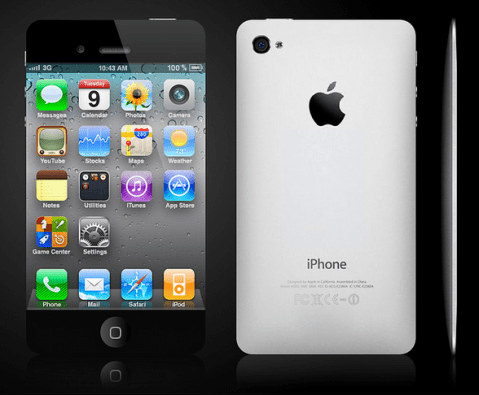 The iPhone 4 looks absolutely stunning, especially with its candy-bar form factor and that metallic lining on all 4 sides. However knowing Apple, you can bet that they’ll probably come up with something that looks fantastic, and totally blows away the iPhone 4’s design! The iPhone universe is growing by leaps and bounds, and developers are rushing to the platform to create all sorts of applications. If you’re interested in developing your own iPhone apps, become a certified Apple Developer for $99 a year. 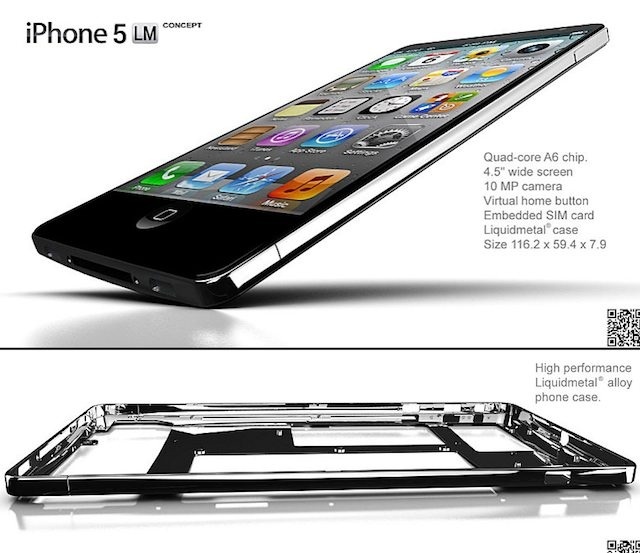 iphone 5 will in all probability stick with the same candybar design as its predecessor. the larger screen might force them to increase the length of the front. these are some amazing designs though.